Alan Paul Construction, Inc. (formerly known as Mike Josey Construction, Inc.) is a Northwest Florida award-winning home builder, serving the Florida panhandle in Okaloosa, Walton and Santa Rosa counties. We offer our customers superior quality custom built homes, remodels, additions and commercial projects. 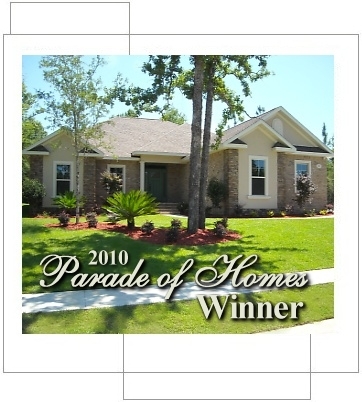 Our 2010 Parade of Homes entry in Lake Arthur Estates in Crestview was a winner. For every house is built by someone, but the builder of all things is God. Hebrews 3:4.